China is outshining the competition on solar energy but solar panel waste threatens to eclipse positive gains. China is winning the solar energy game. 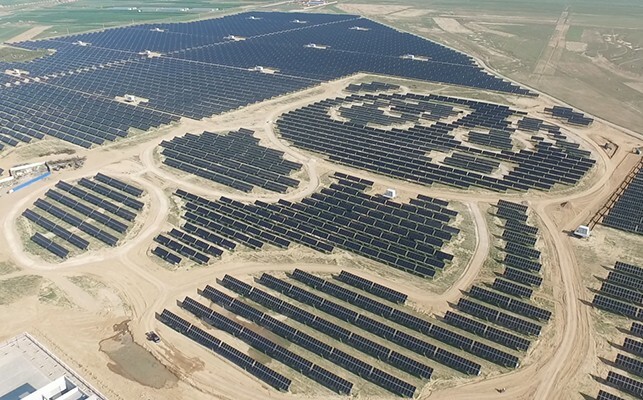 The country is not only home to the worlds largest solar plant located in the Tengger Desert, it also houses the cutest one in Datong Country, featuring two pandas constructed from solar panels. In terms of solar energy capacity, China has double the U.S. capacity and then some — 130 gigawatts (GW) more to be exact. It is also the leading country in solar energy investments, with $86.5 billion in 2017. It is safe to say, the Chinese government and people have a vested interest in solar energy. China has a high solar energy capacity, but that doesn’t mean it is actually producing the same amount of energy. The capacity factor, or the amount of energy on average that gets used is only 14.7 percent. This is in part due to a location mismatch. The large solar farms are located in the north of the country, and most densely packed areas are located far away. Scientists are working on re-designing transmission lines to be more efficient. In May of 2018, the Chinese government stopped subsidies for large solar energy projects, perhaps in anticipation of reaching grid parity — the cost of solar energy becoming level with the cost of traditional energy. Investors feel confident that even without these subsidies, solar panels will be cheap enough in just a few years, and massive solar farms will continue to be built in China. So, we've got “clean energy,” it’s affordable, and everything is going well. What happens afterwards? The obstacle following the solar energy boom is figuring out what to do with solar panels once they need to be replaced. Most solar panels are good for about 30 years but once they stop working it is hard to recycle them because they contain harmful chemicals and toxic metals. The International Renewable Energy Agency estimates a huge spike of solar panel waste in 2040. This isn’t China’s problem alone to solve, solar farms are popping up all over the world and no one seems to have a great plan about what to do with the waste — yet.